The Utes have a tribal membership of 2,970 and over half of its membership lives on the Reservation. They operate their own tribal government and oversee approximately 1.3 million acres of trust land. The Utes also operate several businesses including a Super Market, Gas Stations, Bowling Alley, Tribal Feedlot, Uinta River Technologies, Ute Tribal Enterprises LLC and Water Systems. Cattle raising and mining of oil and natural gas is big business on the reservation. Water Systems manager provides water and sewer needs for several communities. 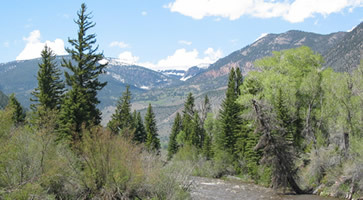 The Uintah and Ouray reservation is located in Northeastern Utah (Fort Duchesne) approximately 150 miles east of Salt Lake City, Utah on US Highway 40. The reservation is located within a three-county area known as the "Uintah Basin". It is the second largest Indian Reservation in the United States and covers over 4.5 million acres.